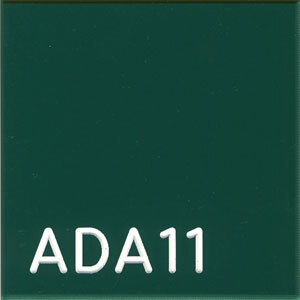 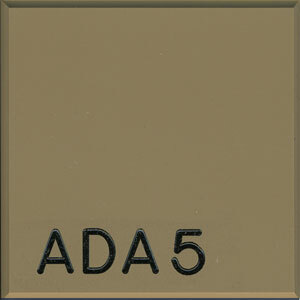 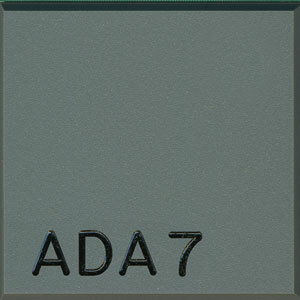 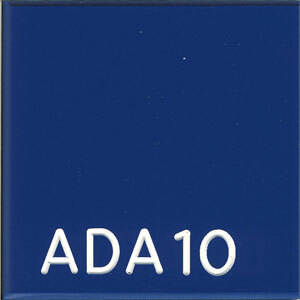 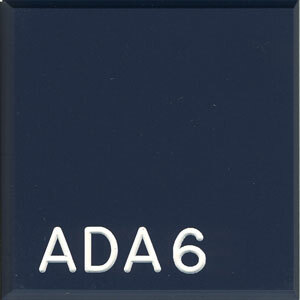 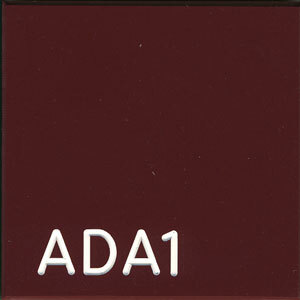 Samples below can be used for tactile ADA-compliant signage. Background color represents field color and sample label represents the color of raised lettering. 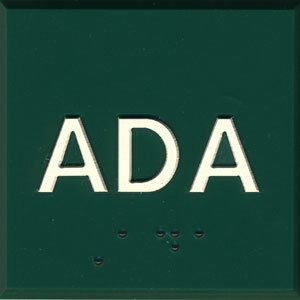 In all cases, braille lettering is clear.